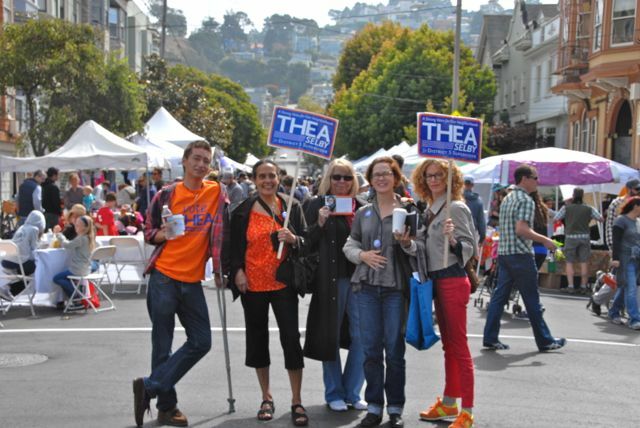 Team Thea at the Cole Valley St. Fair! Last weekend started on Friday with Thea joining a Park(let) at Linden and Octavia, on the border with Patricia's Green. Thea has been working for two years on a project called Walk Stop, which is a creative use of signage to encourage walking, make neighborhoods more safe, connect communities, and share neighborhood histories. Saturday started off wet and soapy at the McKinley Elementary School Car Wash. McKinley is one of the premier elementary schools in the city with tremendous parental engagement. Had the opportunity to meet Daniel Handler, Dad of McKinley kids and author of several books including "An Unfortunate Series..." and with Annie Bauccio, one of the leaders of Educate our State, a non-profit dedicated to getting the people of California to equitably fund education. 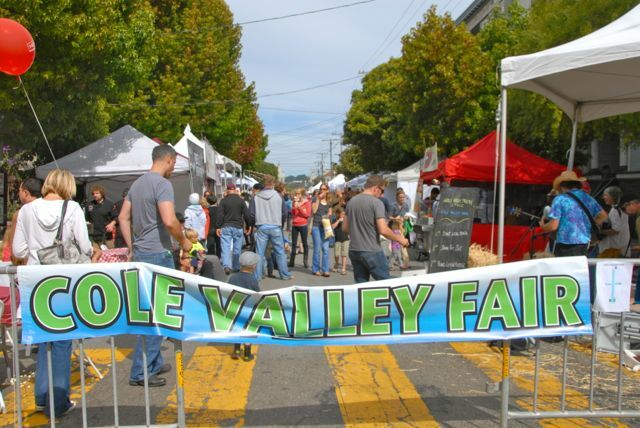 Sunday featured the Cole Valley Fair, an amazing neighborhood-driven fair put on by the wonderful Cole Valley Improvement Association. We weighed challah, bought earrings that match our campaign colors, ate amazing pork sandwiches, and talked to many incredible families who live in or near Cole Valley. Congrats to CVIA, and a heads up that they are looking for other organizers for next year. 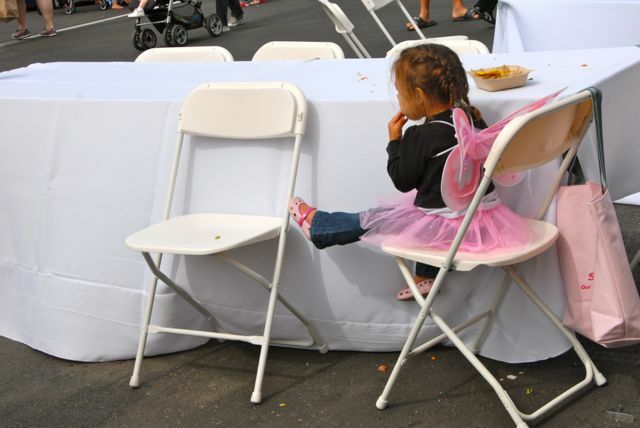 A quick pitstop over to Woodland Avenue and the balloon toss allowed Thea to meet more engaged residents of San Francisco, and to welcome the east side of the street back in District 5.